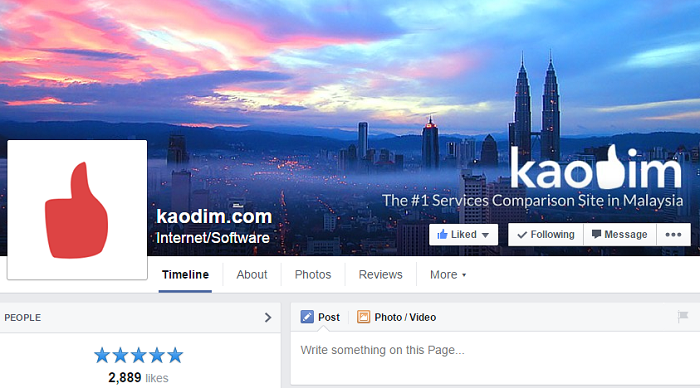 Kaodim Links You To The Right People To Get The Job Done For You! Getting things done takes time and effort, both of which most people in this day and age are lacking severely. After all, what would you rather do: Repair a leak, or watch Interstellar? In Cantonese, “Gao Dim” means “take care of it”, which is exactly what Kaodim does. 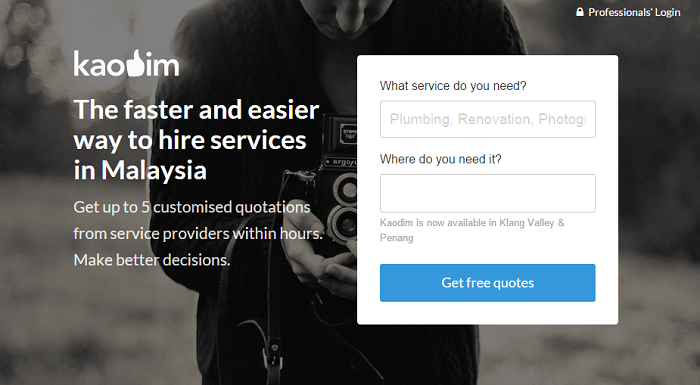 Kaodim serves as a platform in Malaysia that matches users with service providers such as handymen, general contractors, personal trainers, and cleaners so the experts can take care of the problems for them! 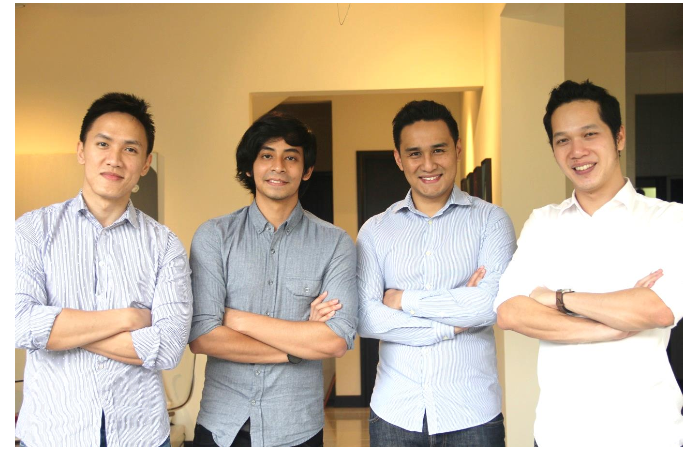 From left: co-founder Choong Fui-Yu, front-end developer Gadaffi Rusli, co-founder Jeffri Cheong, and back-end developer Nguyen vu Nguyen. Co-founders Choong Fui-Yu and Jeffri Cheong were both practicing lawyers before they gave up their career to change the way people hire contractors, cleaners and plumbers. “Giving up our careers as lawyers was not an easy decision,” he said to Vulcan Post. With the help of leaders in the start up community, including Khailee Ng, they managed to pick up all the necessary skills required quickly and execute their idea fast. Jeffri told Vulcan Post that both Nguyen and Gadaffi were highly recommended developers and the four of them worked together to discuss the user and vendor flow around July 2014 in preparation of construction of the website. “We launched our test site around the same time and it managed to deliver results users were hoping for. We launched the website officially on November 3, 2014,” Jeffri shared. Get Someone Else To Do It For You! 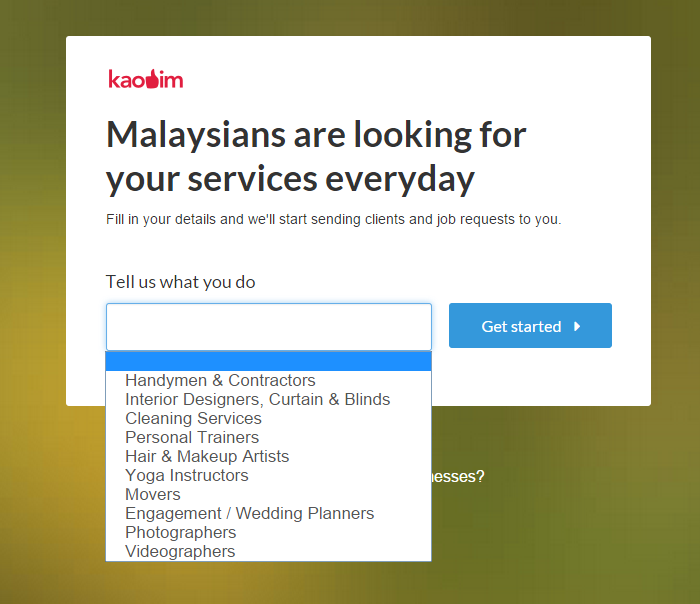 To-date, Kaodim boasts over 3,800 quotations and introductions with more than 1,000 requests for services in just under 2 months, proving that what they have to offer is much needed in Malaysia. 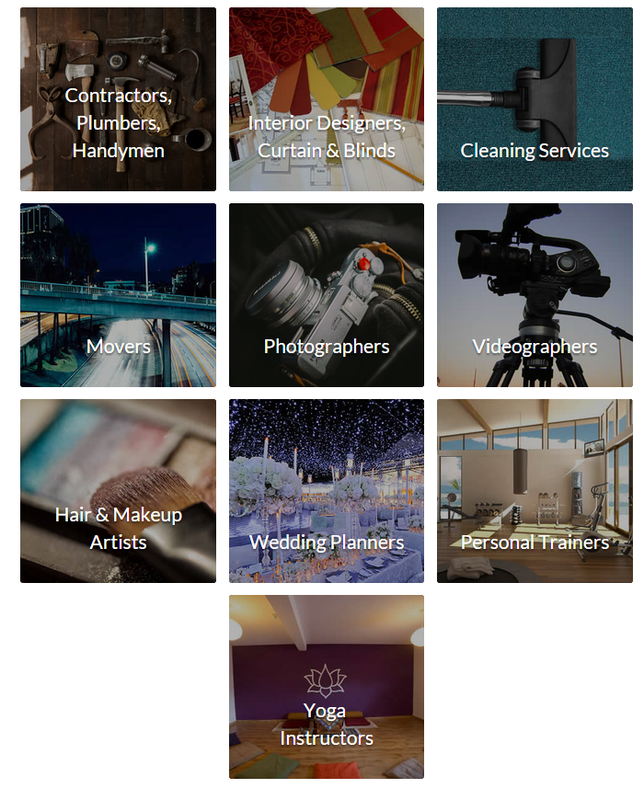 The website offers services ranging from contractors, plumbers and handymen, to cleaning services, interior designers and movers. There are also services such as photographers, videographers, personal trainers and yoga instructors. Normally the process of sourcing for the right person to get the job done for you requires recommendations from friends or trawling through directories, which is tedious, time consuming and really, not all that effective. Kaodim simplifies the process by allowing users to search for exactly what they need and get in touch with the service providers offering the exact service along with the price tag that comes along with the service. The users will be given a choice of five quotations or introductions to choose from. The information given include not just the price tag for the service, but also the contractor’s experience, other services offered and contact details. All this within hours of submitting the information on the site. “Users are impressed by how fast they receive quotations and introductions from service providers and vendors and are fascinated by the number of genuine requests that appear on their phone or notebooks every day,” adds Cheong. By giving these comparison and data, the users are able to make informed choices quickly. “We want users to feel like they’ve hired the right service providers.” Kaodim approaches the service providers and gives them guidelines on how to interact with customers such that they are able to build a rapport with the customer. With all these different services available on the site, it doesn’t take long to come to the question of “How on earth did they manage to get all these people on board? !” Well, business providers are able to register their services on the site through this link. What happens during the process is that the website’s algorithm breaks down the user’s wants and needs and links to the right service providers registered through the site. Requests are then sent to the relevant businesses and if they are up for it, the businesses send an estimate quotation along with a personal introduction to the customer. The customer is then given the information by the business (along with four others) to compare and decide which one to hire. Kaodim not only makes it easier for customers to find what they want, it also serves as a platform for service providers to obtain customers. Choong shared that the businesses registered through Kaodim has seen an increase in business and are enjoying the convenience offered by the site. “We want to see customers and businesses right now, that’s all,” says Choong. Their services are limited to only Klang Valley until a few days ago, when they expanded to Penang. Kaodim plans to be translated into Bahasa Malaysia to make it accessible to a wider demographic, and there are also plans to have the app released in the near future. This idea has been taken up really well by users, who have been using the website to find reputable service providers for their needs and they are expanding to different regions of Malaysia speedily.